There was so much going on in the past few weeks that for today we transform ourselves into a news portal and give you an update about recent happenings. As in recent years, the Lego Military Build Competition has started. This years categories do not favor aircraft so much as during the past years, but for sure we will see lots of excellent creations. The first submissions are on the way, the deadline is July 10th. The Architecture line has a new member, the 21018 United Nations Headquarters. Eurobricks has already posted a few hi-res images. TechnicBRICKs has covered the full Technic line up for 2H with the B models too. 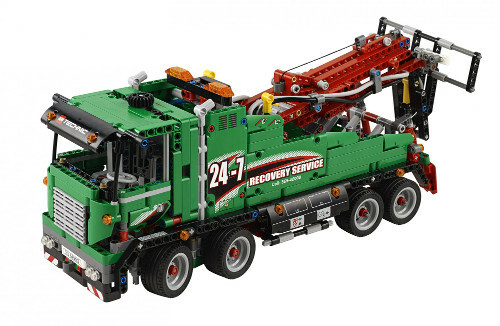 The biggest news is the 42008 Service Truck that stands out from the other sets with its color. Mad Physicist continues his coverage of the eighties, this time he built Knight Ridert. bobalexander has built this classic light blue Porsche 917 in Gulf livery (via the Lego Car Blog). 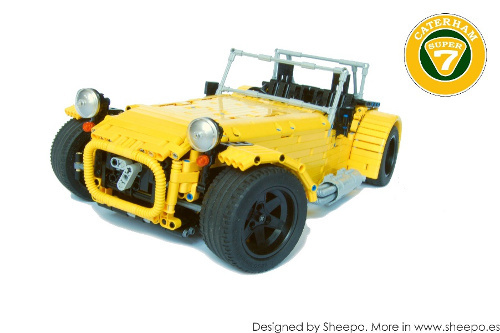 Sheepo's newest model is a Lotus Sevennel (via the Lego Car Blog).